Rahel Marcus spent her childhood in Lodz. Her father, who was a craftsman, encouraged her talent in drawing. Rahel’s first painting was a portrait of her father. Her cousin taught her German, Polish, and French. She was an activist, just like her father, and became a member of the Bund movement. In 1911, she left to study at the School of Fine Arts In Munich and got in touch with the young artists Henri Epstein and Marcel Slodki, whom she later met in Paris. Rahel Marcus enjoyed the years she spent in Berlin, where she met her future husband Julius Szalit, who was a successful actor. They had a passionate relationship until Julius left her and committed suicide in 1916. Devastated, she left Munich and moved to Berlin. She enjoyed success in the artistic circle and joined the Secession Salon and the November Group. She spent time at the Roman café where she met Mendele Mocher Sforim, born Sholem Yankev Abramovich (in Yiddish, Sforim means bookseller), who was a pioneer of Yiddish literature. She also became friends with Sholem Aleicheim. Her works and the characters that she painted were inspired by their novels. 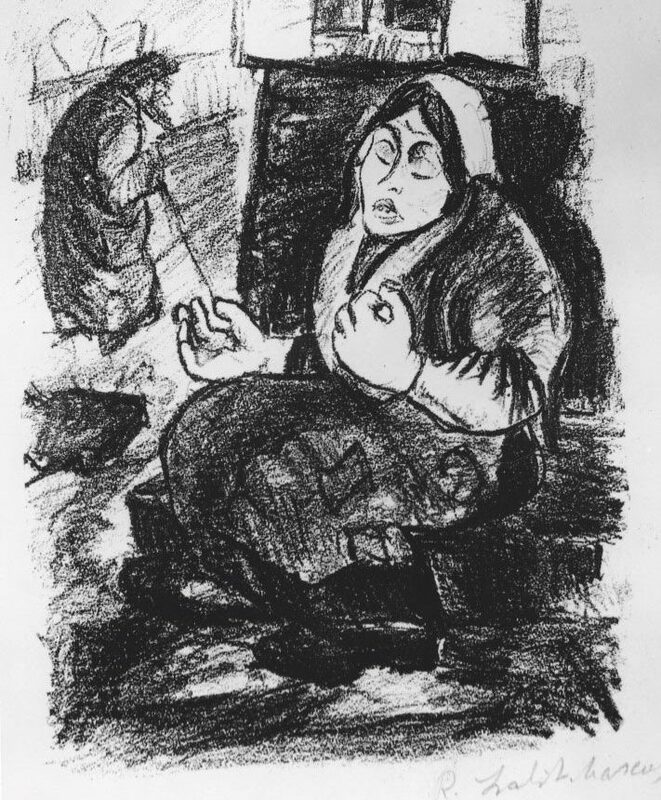 She illustrated Sholem Aleicheim’s Son of Kazan, Mendele Mocher Sforim’s Fishke the Lame, Israel Zangwill’s The King of Schnorrers and Martin Buber’s Tales of Rabbi Nachman. She also taught fencing in order to earn her living. 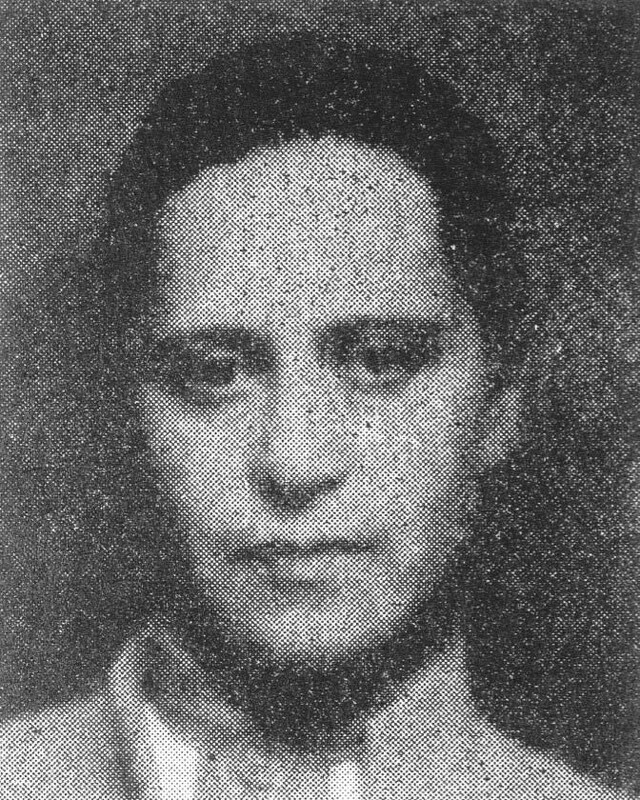 In 1933, when Hitler came to power, Rahel Szalit- Marcus moved to Paris. She spent time at Le Dôme café, continued to paint and continued teaching fencing. Collectors who were interested in her painting came to see her in her studio. On July 16, 1942, she was arrested by French police officers. Her studio was plundered, and her works have never been found again. On August 19, 1942, she was deported on convoy number 21. She was murdered in Auschwitz.